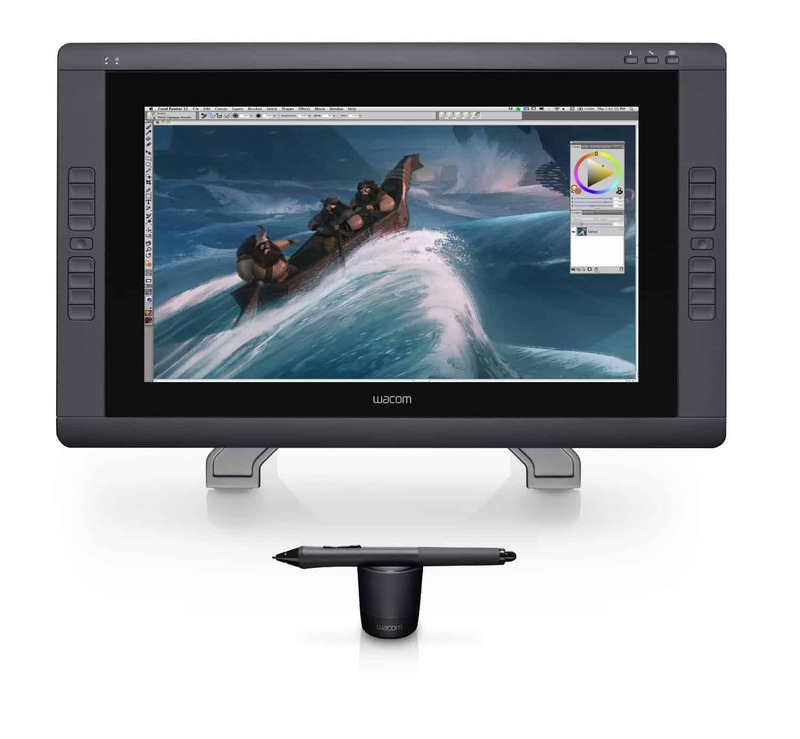 The full Intuos range – Art, Draw, Comic and Photo versions each with its own specific graphics software included. The extra working space on this tablet is one of its most attractive features. With its 10×6.25-inch work surface, it’s big yet practical. 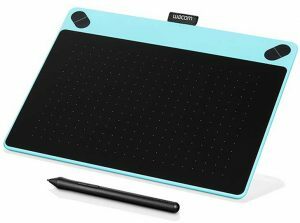 I do a full review of the XP-Pen Deco 01 tablet on my other site procartoon.com and discuss the Deco 01 on the Procartoon podcast which you can access and listen to here. For artists searching for the best buy graphics drawing tablets on a budget, this is definitely one to consider. 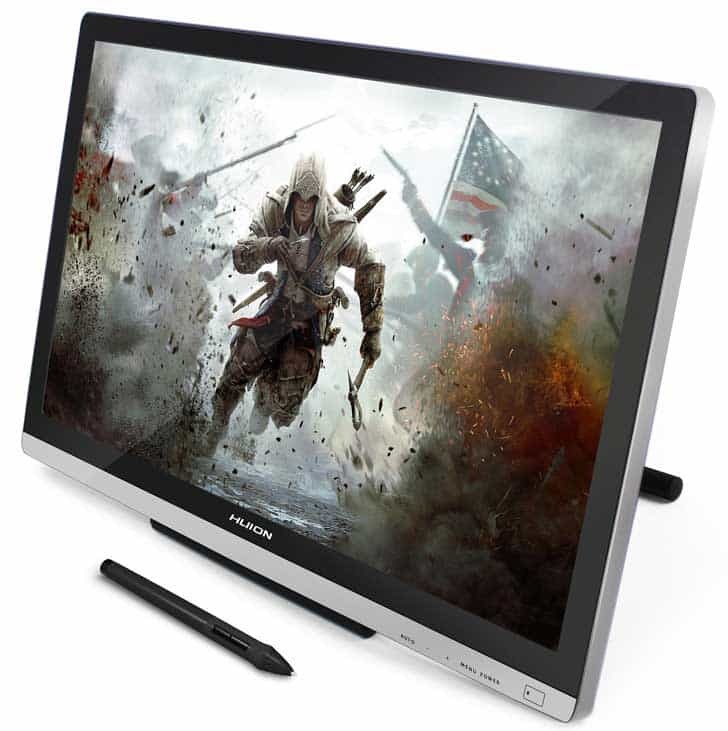 Sometimes bigger is better which is why we added this to our best buy graphics drawing tablets list. The 22-inch work surface gives you all the space you need to get your art groove on. It’s a perfect tool for those bigger art pieces that require extra-large work areas. 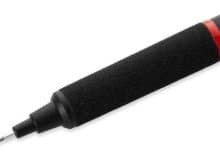 The pressure-sensitive and tilt-sensitive pen mimic the feel and resistance of using a pen, paintbrush, or marker. The eight express keys allow for faster creation with less effort to cut/copy/paste, save, erase, and other commonly used commands. Zoom, pan, and screen rotation are just a finger press away with the customizable shortcut keys. Two touch strips give you extra programmability to customize your workspace. The adjustable stand gives you the control to position the tablet at the most ergonomic angle for comfortable hours of designing, drawing, sketching, or doodling. The first generation Huion had its share of problems, but the new V2 more than makes up for it. The upgraded firmware boosts productivity thanks to the increased accuracy and more responsive cursor positioning. Say goodbye to line breaks, cursor offset, and other annoying glitches the older model had. Even the pen has been upgraded for more responsive control to the pressure you apply, although it doesn’t support any tilt recognition feature. Seeing the screen from almost any spectrum won’t obscure your view thanks to the 178° built-in viewing angle of the adjustable stand. Forget about your hand slipping around the screen as your draw. Covered with a micro layer of rubber, the perfect amount of friction allows you to keep your hand exactly where you put it. Connecting is easy with the built-in HDMI, USB, DVI, and VGA ports. We think the Huion is one of the best buy graphics drawing tablets not only for its large display but all the extras that come with it. A drawing glove, eight extra stylus tips, stylus charging cable, and screen protection foil are included. The screen protector may cause a bit of an extra glare from overhead lights, but that’s a fair price to pay to prevent cracks and damage. It’s compatible with animation software like ToonBoom and others, plus it works on Windows 7/8/10 PCs and Mac 10.8.0 and above. Last but not least is the godfather of the mobile studio tablet. 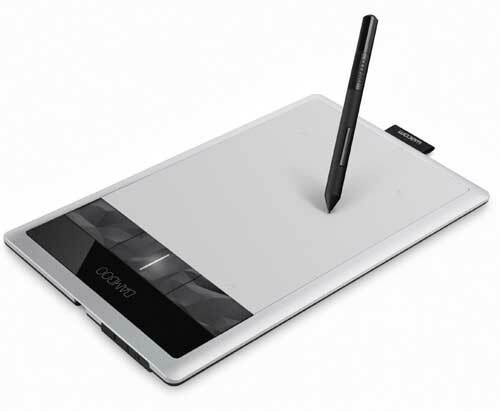 It’s quite possibly one of the best buy drawing tablets available to designers. It has a steep price tag but for good reason. 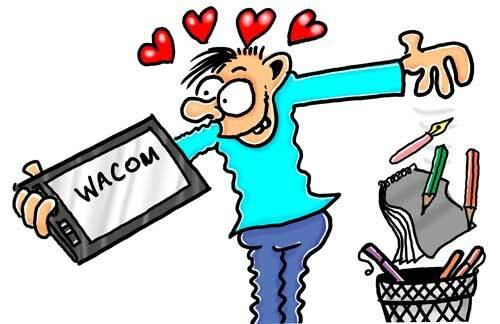 Wacom truly delivers an artist’s dream that comes complete with all the bells and whistles. I have one of these and use it every day. It is a fantastic piece of digital drawing technology that never ceases to amaze me. I took my time before diving in and buying the Mobile Studio Pro and have absolutely no regrets. it is, without doubt, the best art equipment purchase I have ever made. The battery-free stylus pen has four times the accuracy and pressure sensitivity than previous versions. 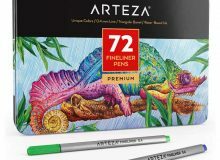 It has lag-free tracking and an outstanding tilt recognition feature, so it keeps its natural “pen on paper” feel. 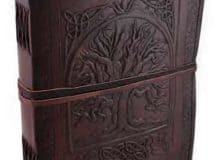 The 13-inch version leans towards artists who specialize in sketching, graphic design, image editing, concept art, and 2D animation. 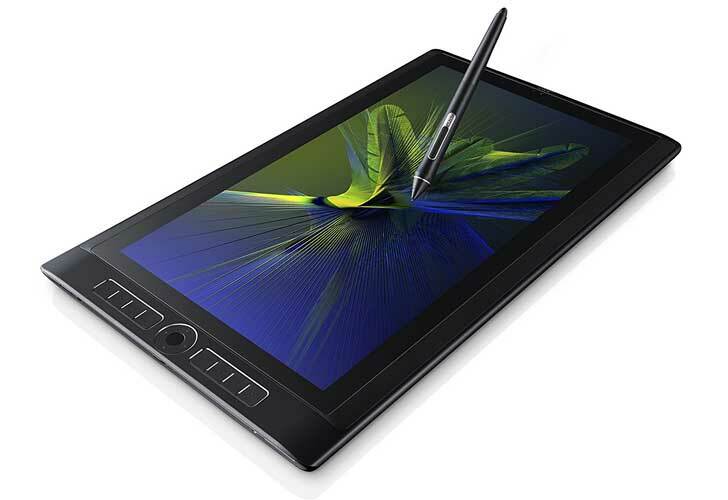 The 16-inch tablet offers a larger work area for everything the smaller version has plus 3D sculpting and painting, 3D computer-aided design (CAD), and motion graphics. Both tablets have high definition front and back cameras (5MP and 8MP). Or use the Intel RealSense camera (on certain models) to capture 3D scans. Let’s not forget the six customizable express keys, radial menus, and the touch ring protective fingerprint sensor. 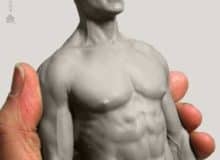 It’s compatible with Photoshop, Zbrush, Substance Painter, Sketchbook Pro, and lots of other graphic design software. The adjustable stand offers three different drawing angles, but it’s sold separately. The 4K high-resolution anti-glare coating gives the screen a dazzling display of crisp colors. Like everything else, personal preference always comes into play and this review is based on my preference. I have road tested each of the tablets listed. I make my recommendations not just from specifications and listings on Amazon but from hard use of each tablet. I have also tried out many other tablets and it is my conclusion that these are the best that I have tested out personally. Out of these I predominantly use the Wacom Studio Pro the most. It is the highest quality and best tablet I have ever worked on. It was a purchase that I agonized over for quite some time, simply because of the very high price ticket. However, I would buy it again in a heartbeat as this graphics tablet is so good and raises my game every time I switch it on. It just feels so good to draw ion that it really fires me up every single time I flick the on the switch! I have produced some of my very best artwork on this amazing machine and cannot recommend it highly enough. It’s just getting over the pain of spending the money on it. Once you have it that pain disappears immediately! 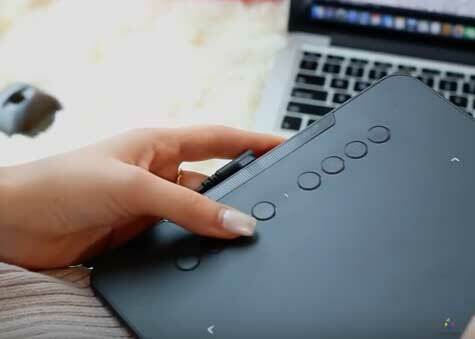 The Intuos Draw Medium tablet was a gift and is another fabulous tablet from Wacom. I think Wacom were really clever to promote basically the same tablets with four variations of included graphics software. 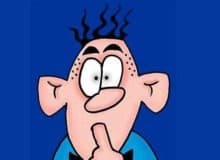 I believe that the ‘Art’ tablet suits the cartoonist because of the included software that comes with it. Personally, I have been a huge fan of Photoshop in its many different versions for over 20 years. So the software which comes with each tablet didn’t really matter in my case as I had it already installed. For a newbie to digital drawing the Intuos range supplies a superb out of the box product that can have you up and drawing without having to faff about buying additional software. XP-Pen.com emailed me and asked me to review their Deco 01 tablet. 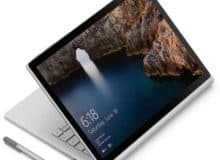 I used the tablet constantly for over three weeks before writing the review and featuring it on my Procartoon.com Podcast. I have to say I was and still am very impressed with this great tablet. It looks good, it was really easy to set up and it draws beautifully. In addition, it is around half the price of a medium Intuos Art tablet but doesn’t come with graphics software. When you consider the price of Adobe Photoshop Elements software it still works out cheaper. The Cintiq 22HD was another expensive buy for me but something that I knew I had to get. You may be wondering why I didn’t get the larger 27″ model. 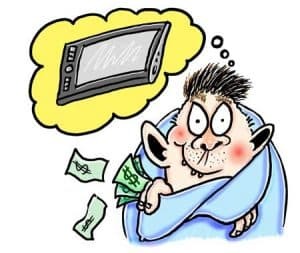 I looked closely at the biggest in the range of Cintiq desktop models but decided that it was too big for my studio and the price at the time was just above my limit. As it turned out I made exactly the right choice and for me, it was the perfect size to work on. 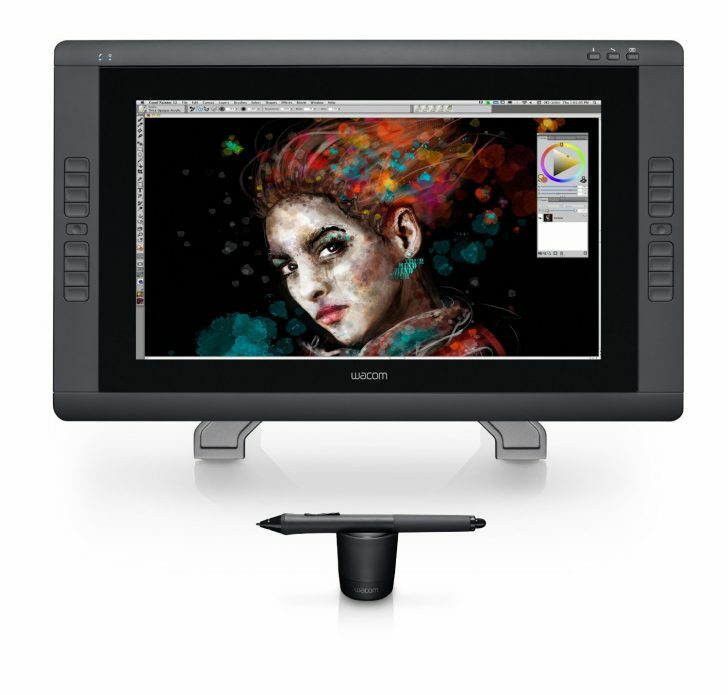 The Cintiq 22HD is a superb machine that allows you to produce your very best work. There are no restrictions on this wonderful piece of technology. The only limiting factor is your own imagination. I don’t use it as much now as the Wacom Studio Pro does just as good a job and is much more mobile. The only tablet in this review that I do not currently own is the Huion 22GT. The reason is that it was pointless buying this when I already had the Cintiq 22 HD. However, I road tested another artists tablet and found it to be excellent. Really responsive and again producing great work. My friend swears by his Huion tablet and uses it exclusively. If I am honest there wasn’t a great deal of difference in the drawing experience between the Huion and the Cintiq. So there you have it. Five top-notch tablets to provoke some thought. The bottom line is to try before you buy if you possibly can. 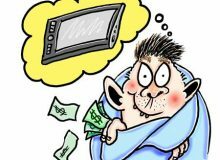 Graphics drawing tablets are not products that you can return if you change your mind. It is worth asking around to see if any of your arty friends or contacts have got a tablet you can try. Whatever you do I would advise you to spend wisely. Get the tablet that is going to drive you forward. 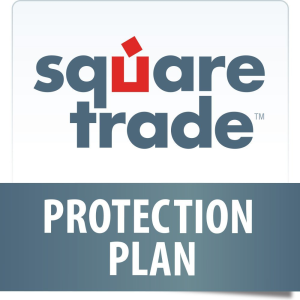 Never buy solely on cost as that can be a disaster and you will probably be spending more in the long run upgrading.